This is our 12 step carpet cleaning process utilizing Hot Water Extraction with our state of the art equipment. 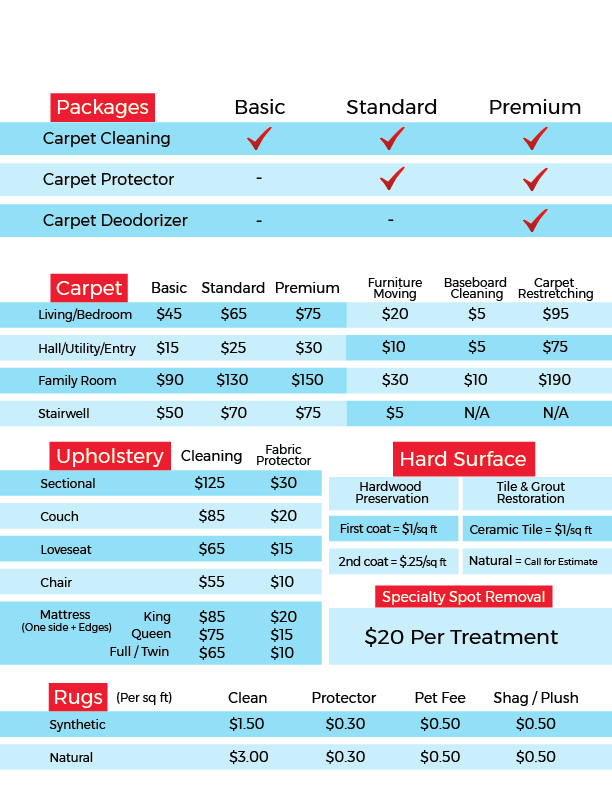 Includes 12 step carpet cleaning process and adds carpet protector to help your carpet hold up to stains. Includes 12 step carpet cleaning process and protector, and adds deodorizer. What are you needing done? and we will get in touch with you about scheduling! You're one step closer to the clean home or business you want.